Wake Up the Box 5 is very similar to the previous versions, and works on the same basic concept. 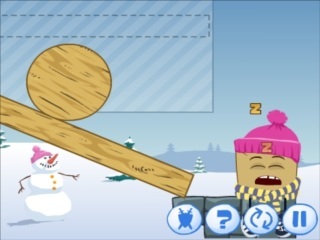 The object of the game is to wake up the sleepy box from his unusual locations. 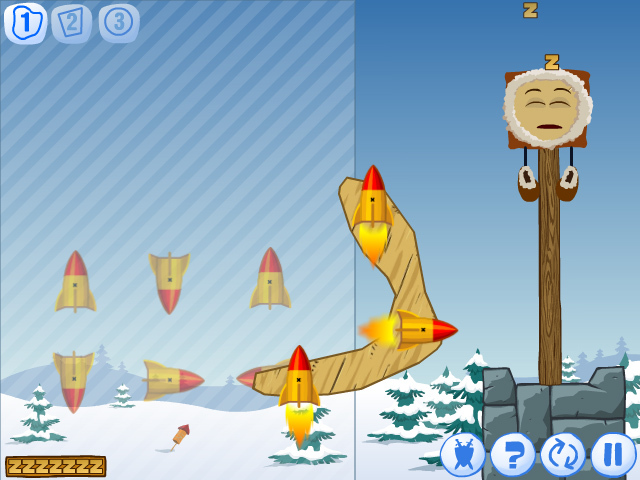 This game tests your strategy skills, as you must draw various shapes to attempt to wake up Mr. Box. Mr. Box is a very sound sleeper, and can be quite difficult to wake up! Use your mouse to draw various shapes you will need to use in order to wake up Mr. Box. In addition to using your mouse, you will also need to use a few keys on your keyboard. The graphics quality for this version is much better than the previous versions. It features bright, eye-pleasing colors. 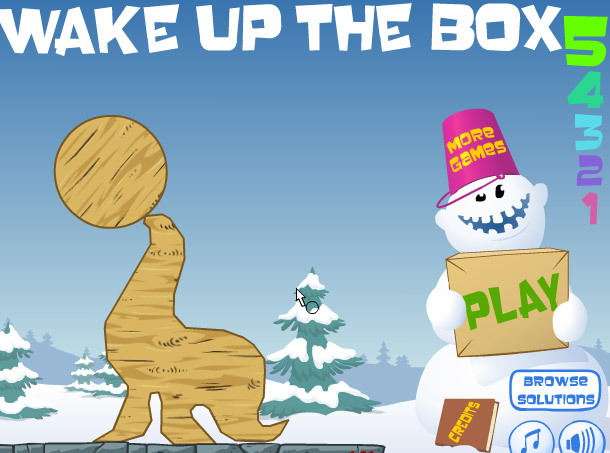 Here are a few tips to help you complete the levels in Wake Up the Box 5. In addition to using the keys mentioned above to toggle between shapes/drawings, you can also click on the numbers located at the top left corner of the game screen to do the same thing. The easiest way to build a ramp is by using the straight-line function, drawing the base, then the side and let go of your mouse button. The game will automatically fill in the other line. Sometimes you will need to make irregular (odd) shapes in order to complete a level. There is a hacked version of Wake Up the Box 5 available in which all levels have been unlocked. Additionally, you can watch walkthrough videos on YouTube if you are having difficulty completing a level.